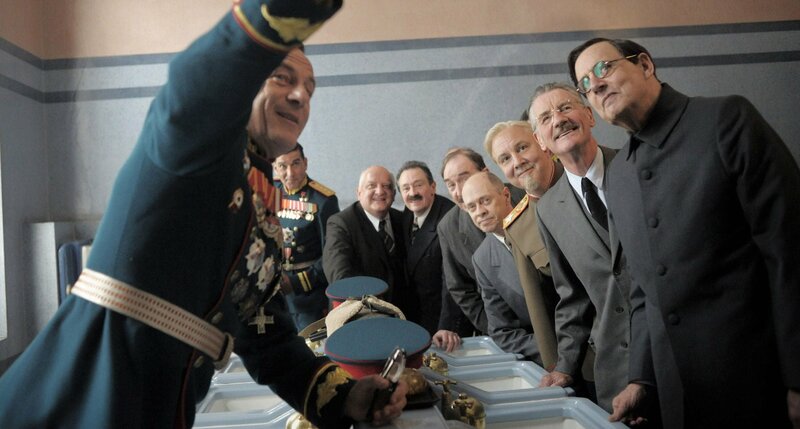 It’s just as well London can double as Russia, if the country’s considering banning films there, like Armando Iannucci’s The Death of Stalin. Iannucci’s absurdist view of history has raised the heckles of the present day Russian government, which is thinking of banning it. In fact, in the film it’s Freemason’s Hall in Camden, London playing the Kremlin interiors, where Stalin’s calamitous ministers are running the show. Camden Film Office is run by FilmFixer. FilmFixer director Karen Everett says, “Some of the funniest scenes were shot here in Camden, although we only helped out with the facilitation of parking and some external scenes, as Freemason’s Hall is a private location. “It was a nice big four-day shoot in July last year, with about 120 cast and crew. The place was crawling with period secret service personnel and Red Army soldiers armed with fake weapons. They made really good use of the space and the building’s character. “Along with the scenes of hapless decision-making inside the Kremlin, they dressed it effectively for post-funeral scenes following Stalin’s death. “The production also spent quite a lot of time in the main toilets, where Kremlin ministers plot furtively. I’m not sure any production has spent quite so long in the gents there. The film, starring Jeffrey Tambor, Steve Buscemi Jason Isaacs, Rupert Friend, Paddy Considine and Michael Palin is based on a French graphic novel. You’ll recongise some of the Freemason’s Hall scenes in the trailer here.